Pupils are involved at every level with co curricular clubs, termly performances and House drama events. Its not just treading the boards, pupils taking leading roles in tech, production, costume and make-up. 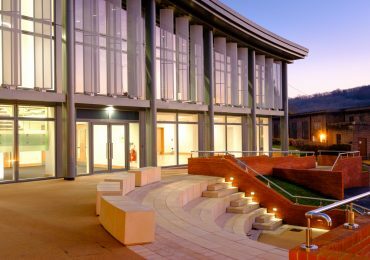 We are fortunate to benefit from the new Centre for Performing Arts which includes a full size theatre (The Humphreys Theatre), small ‘black box’ style theatre and performing space (The Deayton Theatre) and Dance Studio in addition to further rehearsal and production space. For details of our co curricular clubs and termly productions please see below. This fast paced and fun lunchtime club is open to all Years. All about developing improvisation skills. Pupils generally play a related drama game to start and then are given various scenarios as individuals, pairs, groups or as a whole class to perform and watch. Just turn up and get involved! Junior (First & Second year) and Young (Third & Fourth year) Repertory Theatre Companies provide opportunities for our most talented performers to extend their skills through showcase performances or competition drama. Anyone wishing to join this group must audition, show commitment to the group and be willing to represent the school as required. Junior and Young Rep have the opportunity to perform at Leatherhead Drama Festival in May each year. 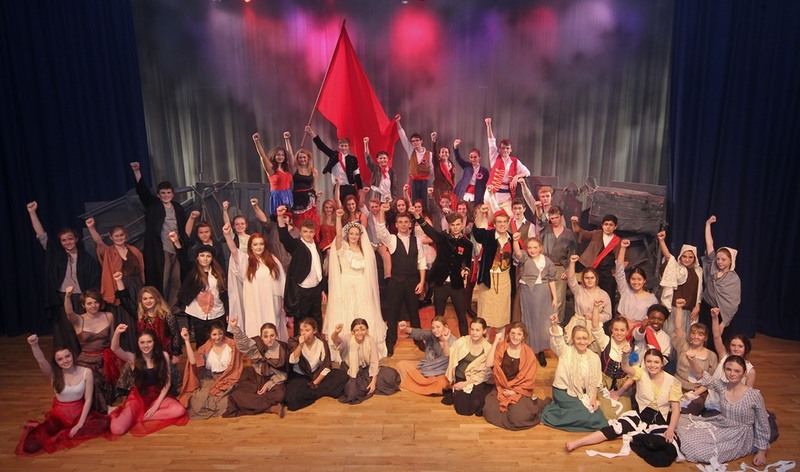 Caterham Repertory Theatre Company aims to promote excellence in performance and provide opportunities for the school’s most talented senior performers to challenge themselves and extend their skills through participation in competition drama. Anyone wishing to join this group must have a proven track record in performance, audition, show commitment to the group and be willing to represent the school as required. Members of Caterham Rep are encouraged to perform at the Edinburgh Fringe Festival in August to extend their skills in a professional environment. Puppetry is a fun club for anyone who would like to learn some new skills in this area. If you’ve never used puppets before, give it a try! Tech Club offers an opportunity to learn about lighting and sound and provides opportunities for students to specialise in either lighting or sound. Many productions and events have student led production teams, so there are many opportunities to test your skills and creativity. Students are encouraged to write their own original scripts and monologues in weekly scriptwriting workshops. We consider different genres of theatre and developing characterisation. All members of the script writing group have the opportunity to direct their plays for performance. Students who are more experienced script writers are encouraged to join the National Theatre Scriptwriting Programme. This is an exciting course, focusing on a range of theatre genres and styles. All participating students will work with a professional playwright and submit their original script to the National Theatre. This is a large scale drama event, involving approx. 100 students as performers, stage managers, technicians, musicians and front of house staff. The production rotates between a play and a musical each year, so everyone gets a chance to be involved! Past productions include; Les Miserables, Our Town , We Will Rock You and Grease. This year we will be performing the high energy hip hop musical In the Heights. Rehearsals take place Tuesdays and Fridays after school and Sundays throughout the Autumn Term. This is a large scale drama event and involves 60 – 70 students. We choose plays that allow you to use your imagination and develop your performance skills further. Past productions include; Roald Dahl’s Revolting Rhymes, Ernie’s Incredible Illucinations, Our Day Out, Arabian Nights and students devised work. Rehearsals take place on Thursdays after school, with Sunday rehearsals closer to the performance date. The Spanish and Drama departments work together on the performance of an original translation of a Spanish Play – translated by our students! You don’t have to study Spanish or drama to get involved – you just need to enjoy theatre. The play is performed in May/ June each year. The festival runs for 2 weeks in May every year. Caterham was one of 12 junior groups competing this year. We were delighted to be awarded ‘Best Actress’, ‘Best New Writing’ and the Houghton Award for overall contribution to the festival. The event gives students the opportunity to perform in a professional theatre alongside other local drama groups. This residential trip gives experienced actors the opportunity to perform in a professional theatre environment at the prestigious Edinburgh Fringe. Previous productions have included Jonson’s The Alchemist and an original play And Then There’s Me. The Festival includes music and roaming actors performing monologues whilst the audience enjoy picnics in the sunshine! We then perform 2 shortened versions of Elizabethan plays in the beautiful evening sunshine! Caterham classics students produce a new translation of a Greek play every year! The entire rehearsal process takes place on Saturday and Sunday of the last weekend of the summer term with a public performance on the Sunday evening. In the spring term there is an inter-house drama competition. Each house prepares a 6 minute performance on a given theme or in response to a stimulus. The pieces are directed by 6th form students and performed in front of an audience with invited judges. Houses are awarded points for creativity, performance and team work. Students are encouraged to support their houses from the audience. The House Improv competition takes place in Inspiring Drama week. The event is open to all year groups. Each house must enter a minimum of 1 team, including students from at least 2 year groups. The teams are taken through 3 rounds of improvisation activities – the only skill you need is imagination!